Are you experiencing an increasing volume of claim denials because of hospice coding and billing mistakes? If yes, you must be witnessing a significant decline in your organization's revenue. One of the critical steps of hospice billing requires verifying the hospice eligibility, which includes checking the patient's benefit period, care period, and MSP (medical services plan). At Outsource2india, we combine the best of technology and expertise to ensure that you receive full reimbursement at the stipulated time. Our reimbursement managers and medical billing support executives are expert in submitting clean & accurate claims, thus, freeing you from the concerns of RAC and ZPIC audits. We can sort all your patient demographic entry requirements with the assistance of our experienced team of healthcare support executives. They can review patient admission forms and accurately enter those into the Electronic Health Record (EHR) or Practice management software. They do this by our multiple layers of cross-checking and verification process that ensures that the entered data are 100% correct. Document Verification - After you send the medical data electronically, our team analyzes each & every document and organize in the sequence required by the insurance provider. Patient Coverage Verification - We verify the patient's insurance coverage with the primary and secondary payers. Medical Information Correction - We can follow up with the patients or their family for any kind of inconsistencies or missing details. We can collect medical receipts, file claims, and submit a complete and final claim form, including all the relevant information such as member ID, group ID, co-pay information, insurance coverage dates, etc. We can help you code the medical procedures and diagnosis, which involves pre-coding and coding services. Precoding - Our medical coders can enter the key-in codes for referring doctors, insurance companies, and add diagnostic, & procedural codes which are not present in the system. Coding - Our certified medical coders refer ICD-10-CM, CPT Assistant, LMRP, and HCPCS Level II to check the diagnosis compatibility with the related procedural codes and modifiers. Our proficiency in medical coding can help you eliminate the up-coding and down-coding errors. When you outsource hospice billing services, we can help you avert fraud and legal issues by verifying the accuracy of your patient' account. Our skilled account reconciliation team is expert in identifying the errors & inconsistencies in the account. And, if they find any, they can correct those. This will enable you to submit clean claims and obtain complete reconciliation reports of payments and billing information from various payers. Our hospice billing services in India can keep the AR days of the claim to the least. Our team keeps track of the pending claims and follow up with the payers for collections and pursue the payers in case the claim is not reimbursed on time. Through our extensive experience in the offshore hospice billing services, we can draw the whys and wherefores for claim denials. After understanding the key reason(s) to claim denials, our AR specialist will follow-up with the payer and re-submit the claim according to the prescribed norms. O2I is an ISO 9001:2000 certified organization and strictly adheres to HIPAA and HL7 compliance standards, which confirms our commitment to follow all the required physical, network, and administrative measures as mandated by HIPAA and HL7. We are ISO 27001:2013 Information Security Management System (ISMS) certified company. It reinforces our resolution to establish, implement, continue, and advance the information security management system within the framework of your healthcare organization. We also secure your legal, financial, personal, technical, or business-related information. We have a collective experience of 20+ years in the healthcare insurance support domain. Our medical support professionals surpass 200 in size, and our combined management experience surpasses 100+ man-years. Thus, when you decide to outsource hospice billing services to us, you can be certain to receive a highly professional support service. Our workplace, including delivery centers, headquarters, and offices have a robust infrastructure and modern equipment necessary to provide hospice billing services. We have advanced VPN technology, autonomous Internet Leased Circuits, built-in IT redundancies, firewall and intrusion detection technology, 200% power backup, etc. It enables us to provide you with quality offshore hospice billing services ahead of time. We leverage our global reach to render our world-class hospice billing services by utilizing the capabilities specific to local markets. For that to happen, we have established five different delivery centers and have four offices spread across the time-zones. We offer flexible and error-free hospice billing outsourcing services 24/7. You can be certain that our healthcare support agent will be always accessible for calls or chats during your work hours, irrespective of the time-zone difference. At O2I, we have the required resources, in terms of expertise and tools to provide excellent hospice billing services. If you want us to spike the deliverables, we can successfully do that, which will allow you to pay only for the services rendered. We provide individual attention to all our customers. That is why we arrange a dedicated hospice billing executive that will be also your one-point contact and can render his undivided attention to your requirements and queries. 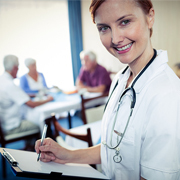 We stick to a diligent method to provide accurate hospice billing services within the deadline. We plan all our support services in advance that eliminates any risk of delay. We also have a substantial number of resource pool who can handle any deadline pressure, if that happens. We helped a Annapolis, Maryland-based medical billing client clear their medical coding and billing backlogs within a turnaround time of 12 hours. Outsource2india has been a leading provider of hospice billing services and a plethora of other medical billing and coding support services around the globe. Our team comprises some of the most talented and brilliant reimbursement experts and healthcare insurance support executives who can carry out hospice billing services to boost your facility's cash flow and streamline the administrative operations. With our multiple global delivery centers spread across the time-zones, we can provide hospice billing within a quick turnaround time. Our hospice billing solutions are highly streamlined, and we follow a systematic approach which ensures that you get 100% reimbursement. If you are looking for a reliable, effective, precise, and cost-effective hospice billing services, then, look no further. Get in touch with us today!